Free Felicity Huffman! | What Did You Say? 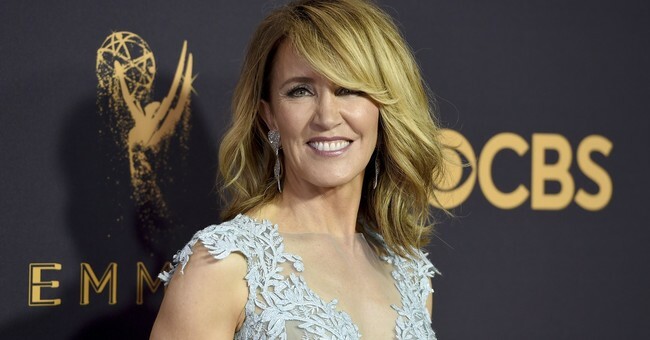 Poor Felicity Huffman is being raked over the coals for paying a lousy $15,000 to get her daughter extra time to take the SAT. Jared Kushner’s father paid $2.5 million to get him into Harvard — and arranged for two of his beneficiary politicians, Sens. Ted Kennedy and Frank Lautenberg, to make calls on his offspring’s behalf. “His GPA did not warrant it, his SAT scores did not warrant it,” a former administrator at Jared’s private high school told Daniel Golden, author of the 2006 book, The Price of Admission. Welcome to the baby boom’s remaking of college admissions! For decades, going to college was a matter of social class, not IQ, talent or merit. From 1900 to 1960, only a tiny percentage of Americans even went to college, about 2 to 5 percent until well after World War II. It wasn’t until the ’60s that admission to college first began to be based on a universal standardized test, the Scholastic Aptitude Test. This fulfilled the dream of Harvard president James Conant, who believed that SAT-based admissions would redeem America’s promise of a classless society. Recall that England’s law of primogeniture was one of the best things that ever happened to this country. If you are a small island nation and want to keep land from being chopped up every generation, it makes sense to mandate that entire estates be bequeathed to the first-born son. But that left a lot of smart second-, third- and fourth-born sons — not to mention daughters — out in the cold. The talented, but screwed, Brits responded by hopping on boats, sailing across the ocean and creating America! In this country, status would be earned, not inherited. But the meritocracy in college admissions lasted only 30 years — right up until the baby boomers had college-aged kids. Then it was over. The Worst Generation came along and decided that sending their kids to Harvard was the perfect accessory! If you’ve read The Bell Curve you know that this is a statistical impossibility. A group of 100 kids with high-IQ parents will have a higher average IQ than a group of 100 kids with low-IQ parents. But individually, there’s a reversion to the mean. Parents with extremely high IQs will tend to have kids with lower IQs, and parents with low IQs will tend to have kids with higher IQs. Sometimes spectacularly so. That’s how a lot of ordinary middle- and working-class kids with no social connections used to get into Harvard. Now they’re out of luck. Sorry! No room for the son of a middle manager in Newton, Iowa, who got double 800s on his SATs. It’s a striking fact that the great leveler, the SAT, didn’t come under relentless attack until the baby boomers’ kids were college-bound. Throughout the 1970s, 1980s and 1990s, most of the news about the SAT concerned secretive College Board meetings to formulate the test, and public alarm when scores declined in a particular year. No one questioned whether the test was an objective measure of native intelligence. Only when little Billy’s SAT scores weren’t up to snuff did we start reading about the rank unfairness of standardized tests. Rich parents of dumb kids were indignant that a universal IQ test might allow the son of a dentist to get into an elite school over their own precious offspring. Suddenly standardized tests were being denounced as meaningless and anxiety-producing. Using African-Americans as a false flag, the elites bashed the SAT as “culturally biased.” Don’t worry, hedge fund guys: Minorities are getting in, with or without high SAT scores. Some colleges pretended to dump the SAT out of principle — when everyone knew they were dropping it because they were no longer attracting kids with decent SAT scores. In response to the college cheating scandal, our Brahmins rail that “Spoiled rich kids can get tutors!” Didn’t seem to help their kids. Didn’t help Jared. Contrary to the marketing claims of the test prep companies, tutoring barely moves the needle on SAT scores. When the whole thing is a scam, why shouldn’t parents pay finaglers to doctor SAT scores or sports photos? Who’s that unfair to? The Jared Kushners of the world who pretend they got in on merit? It’s one thing for colleges to discount SAT scores in order to admit more descendants of American slaves — not to be confused with the Somali who arrived last week. But now that the baby boomers are running things, the SATs are irrelevant for pretty much everybody. As Ilhan Omar would say, it’s all about the Benjamins. Strip Kushner of his degree or stop picking on Felicity Huffman.